Real Talk: Women Pay More Taxes. Period. Concerned by this title? Me too. But before discussing this, let me start by introducing a new category of posts here on LegalLee Blonde – Real Talk. 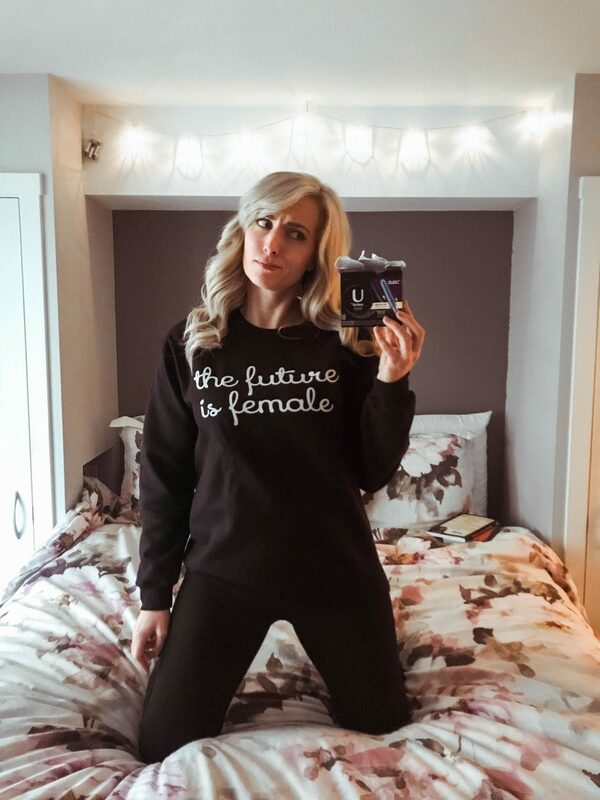 As much as LegalLee Blonde is a source of fashion inspiration for working women, you’ve probably noticed that I also love sharing other content that I think is relevant to all of you amazing, inspiring, hard-working women. One thing I want to share more of is information on issues affecting women. Whenever I come across an issue or a topic that I think you’ll want to hear about, I’ll be sharing it under the category “Real Talk”. I’ve added Real Talk to the headings bar on my blog, so you can easily find these posts. I’ve also gone back and added some older posts to this tab – including my 5 Career Goals Every Woman Should Set for Herself in 2018 – so there’s already some reading material there for you to check out! Now, on to today’s post: Women Pay More Taxes. Period. I won’t get into a full-blown analysis of taxes (I’m having traumatic flashbacks to my microeconomics class during my Master’s Degree just thinking about that) but really simply: states and provinces levy a tax on non-essential items. This tax has been nicknamed the ‘luxury tax’ and in a lot of states & provinces tampons are subject to this tax. Essential items are not subject to this tax. Essential items include (broadly) food and medicine and … wait for it… condoms. That’s right, condoms aren’t a luxury but tampons are. What all of this means is that policy makers / the government consider tampons a “luxury” and in essence are making you pay an added tax simply for having your period. Pretty sure I would poke my own eye with a pen or swim with jellyfish before I would call having my period a luxury; and I’m sure most of you agree. According to The Office of California Assemblywoman Cristina Garcia (thanks again to Kelsey for finding this stat) it is estimated that women who menstruate spend $7 per month for 40 years on tampons and pads, thanks to the “period tax” or “tampon tax”. That adds up to more than $3,000 in a lifetime. Granted, that number includes pads which – as far as I can tell from digging are not subject to the luxury tax in the US – but regardless the money spent would still be significant. For Canadians, the luxury tax was previously on pads as well so that $3,000 value is probably pretty accurate for us Canucks. Are You Being Affected by the Period Tax? Up until 2015 all provinces had a luxury tax on tampons via GST & PST. As early as 2004 Members of Parliament began bringing bills to try to end the federal tax (GST) with no success. In May of 2015 the issue was discussed in the House of Commons and the motion to remove the federal tax passed unanimously. As of July 1, 2015 there is no federal tax on tampons. That does however still leave us with the issue of provincial tax (PST). Saskatchewan and Quebec have eliminated any PST on tampons, but not all provinces have. If you’re Australian, I likely don’t need to tell you about this, because this issue is actually a huge topic right now. As of just yesterday, the Labour party announced that if elected they would remove the tampon tax. Definitely an issue worth reading more about if you are Australian or are eligible to vote in the upcoming election. Unfortunately I can’t research the tax laws and regulations in every country, but what I can say is that many countries do tax tampons in a way similar to the luxury tax. Do some digging and find out if your country does! Since so many states still have a luxury tax on tampons there is a massive US Petition to End the Tampon Tax. Make your voice heard, and sign the petition today. Even if you aren’t American you can sign to lend your voice – I did! Thanks so much for reading this post. I hope you learned something and are as passionate about this as I am. Let me know your thoughts on this post and on the “Real Talk” series in general! **Resources used in fact checking this post include, but are not limited to: Canadian Menstruators, Change.Org Petition on Menstrual Tax (and associated updates) & Maclean’s Magazine. "High-Low Top & Side Stripe Palazzo Pants"
Here in the UK there was a lot of talk about this a few years ago. In the end the government set aside the money from tampons and then charities who work with women specifically could apply for funding from ‘the tampon tax’. I worked for a charity at the time which supports survivors of sexual violence and we had very mixed feelings about applying for this funding, We did in the end and got funding for a project but personally I would much rather the tax was abolished. It’s a nonsense to classify sanitary products as luxury items, it literally makes no sense at all. Wow, I had NO idea that is so interesting!! I love that at least the tax was going to a related / important cause, that’s really really cool actually. I mean, yes the tax should absolutely be abolished entirely, but at least if it’s going to be there I’m glad to see it going to a good cause as opposed to here in Canada where ours just went into the general federal budget – meaning no accountability or say in what it was used for. WHAT?!? I have never paid attention to the luxury tax on feminine hygiene products, that is ridiculous. Love the new idea of real talk posts! I know! I had NO idea until about a year ago (and have literally been planning this post since then!) It really is so crazy- be sure to sign the petition to end it! And yayyyyy! I am so excited you like the Real Talk series idea. I am a bit nervous about it; but so so excited to be sharing information and (hopefully) answering questions that women have on their minds. Love the new blog post theme idea, and it’s so helpful to have a tab for it on your menu. 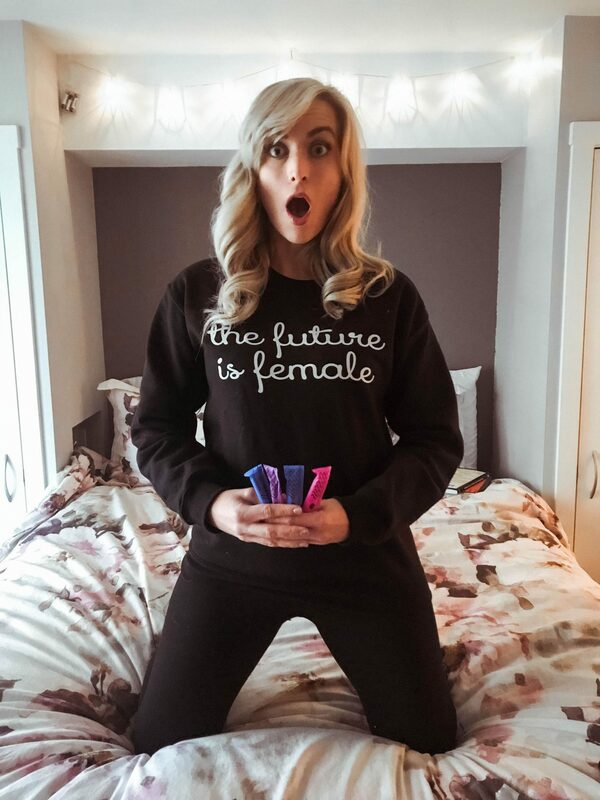 I want to buy that sweater/sweatshirt now! Aw thanks girl, I am so glad you like it! And YES the sweater is amazing! Highly recommend!! Oh my gosh I had NO idea! I am beyond shocked. This is ridiculous! Thanks for bringing this to light! Isn’t it nuts?! I’m still in shock about it! I really like these posts that you are going to be doing! Thanks for sharing! What a ridiculous tax! Aw thank you Jacqueline, I appreciate that! I LOVE the idea of sharing these Real Talk posts! Can’t wait to read the next one 🙂 And how in the world did I not know about this tax?? So crazy!! Thanks Shauna! I am so thrilled by the positive response! And yes, it’s nuts! And I feel like most women have no idea it exists! This is a very interesting segment. I like stuff like this, I know it is a fashion blog but it is absolutely fine to switch stuff a little bit. This ones so precise. Thank you so much Katya, I’m really glad you like the post! I’ve already working on my next “Real Talk” post and can’t wait to share that in a couple of weeks! Oh wow, that does not seam fair at all. It’s an essential not a luxury. Great to get these posts out. I will be following your new real talk posts 🙂 Thanks so much for sharing your post with us at Creative Mondays. Exactly! It’s definitely some archaic tax legislation that needs to be changed in all countries. I am so glad you’ll be following along with the Real Talk series! The next one will be next week!